Do you need an idea for a Halloween costume? You can take this idea. I don’t have time to make it this year. Just remember to send me pictures. If you don’t have time either, send it to a friend who takes Halloween seriously. 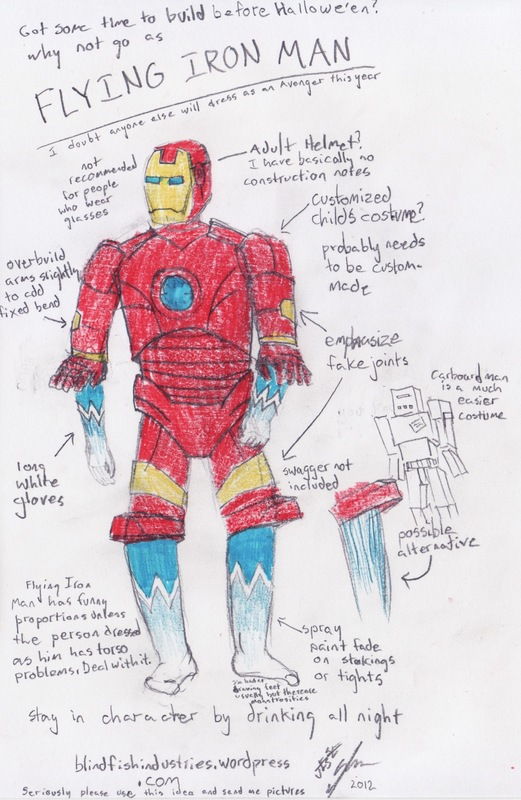 This entry was posted in colour, Drawing and tagged avengers, comic book, costume, design, drawing, halloween, halloween costume, iron man, jetpack, pencil crayon, plan, superhero, the avengers, tony stark. Bookmark the permalink.